I keep wanting the next episode of Grimms Notes to be the one that turns it all around. The one that reveals the motive of the heroes and presents the villains in an actual menacing light. The one that explains why story ones exist and who these mysterious authors are who are inflicting such pain upon their creations. And yet, seven episodes in and there’s still no sign of that. We did get a slightly more detailed look at one of the ‘villains’ as she inserted herself into the story to meet with Ex and the others but even then, other than a cryptic comment or two she provides nothing in the way of new reveals. The story of the week is much the same as any other though as always you have to wonder if resetting things to how they are ‘supposed’ to be is actually the right things to do. Our heroes never question their actions. That is what bothers me more than what they are doing. But even when asked about their actions they don’t pause and reflect for even a minute. They seem utterly convinced that keeping stories on track according to the books of fate is the absolute right thing to do. Yet they haven’t provided a convincing argument to the audience to make us want to get behind that motive. Otherwise there is little to note here. The story is ongoing in much the same pattern it has been with no real ups or down in animation or any other area. This show kind of just exists at this point. Alright, so by the end of this episode Ex actually does ask if they are doing the right thing but the question is quickly dismissed under ‘no choice’ and ‘too late’ comments so it doesn’t actually get explored. Outside of that, this week the focus is on Tao and kind of Shane as we visit their story zone. And this is a bit of an issue because it really does prove that these story zones are literally just looping round in circles which makes you wonder why anyone sees the point. I mean why defeat the oni if you know that as soon as that is done there will be a new hero and a new oni threat and the whole thing will just rinse and repeat. The other issue being that neither Tao nor Shane are particularly complex characters so the backstory on them and how they met and ended up deciding to leave their story zone is pretty weak, as is their resolution to keep a story on track that doesn’t exactly seem like it is doing anyone any favours. Grimms Notes continues to not really do anything particularly note worthy but nor is it unwatchable. All and all, this one isn’t showing any sign of improvement but it isn’t getting any worse. Are Destiny and Fate Really All Just Written? I have to wonder if the source material for this, which is apparently a game, if the player gets to decide whether they want to set the stories back on track or let them fall into chaos? Or is it all just mandated that of course these story worlds will endlessly repeat and you have to be apart of maintaining a status quo so that character lives never change beyond what is written on the pages of their books? It is a little sad to think about really and it is probably the one thing that really bothers me about this anime. Episode one wasn’t great but it did enough to make me want to watch. Episode two was just kind of there and feels more and more filler like so I’m wondering about its placement. Three and four though give us Ex’s backstory and they did a great job of establishing his character and his personal motive for helping restore Cinderella’s story and really I wish this anime had started here. And yet, despite the character being interesting, the conflict personal and understandable, it does nothing to relieve the overall worry that this story seems to be all about making people play their role, whether they want to or not. Sure, we’re only four episodes in and maybe it will get to fleshing out some of these points and ideas and it might even explore them a bit, but so far we’re supposed to be behind the group that come in from outside and essentially force things back onto their predetermined path. For once the crazy villain’s speech about hope and liberation didn’t seem to crazy because I could actually see exactly where he was coming from and at least the characters were offered a choice. Then the heroes tune the world and everyone forgets what has happened. Not only is their choice undone but they are robbed even of the memory of anything outside of their books. It’s kind of hard to get behind that. Still, in the hope that eventually these ideas will be pursued and explored I’m watching on. These last two episodes were at least a little compelling and far better handled than the opening episode and little bits and pieces about their powers and the like are being revealed each episode. Still, I’m hardly jumping up and down to recommend this one. What Happens When a Magical Girl With PTSD Drawn Back Into War? There’s been a lot of dark magical girl stories in recent times and we continue to move further and further away from the pink sparkly heroines of the 90’s where danger came in the form of cackling villains and light effects that seldom had any real impact. Though, outside of Madoka, I can’t say I’ve been a fan of most of these stories. Not that I object to dark stories with murderous plots and carnage, but just I find the premise somewhat thin and it is more a case of can we get these characters to kill each other rather than thinking through the why. I will admit, I didn’t actually expect anything from Magical Girl Spec-Ops Asuka. I hadn’t watched a PV or read any kind of synopsis I just saw militaristic magical girls on the thumb-nail and figured we’d be getting something along the lines of Strike Witches. Which is probably why this first episode had so much impact. It literally came out of nowhere for me. The big bad magical threat is defeated. Asuka and the magical girls who survived long enough took out the big bad boss and restored peace to the world. We see this pretty much at the start of the episode as we see that this story isn’t kidding with its threats as of the nine magical girl who were working with the military for the operation, four died before ever making it to that final battle. Points to the anime for not showing us each of the deaths of character we didn’t know just for the sake of splashing some magical girl blood about the screen and instead we simply hear one soldier talk about the fact that there are nine girls, we then see five and one of them is holding the dog-tags of those who didn’t make it. Far more affective given we haven’t had time enough to care for anyone in this story. Then we transition to a normal high school setting (because this is an anime and of course our heroine is going to transfer into a class). Still, this section of her making friends within the class, her dealing with memories she’d rather not have, slowly opening up and joining a club, is handled well and I actually found myself really hoping that she’d be left alone to live that life (though even before the scarred military guy shows up you know that isn’t going to happen). Where the anime really shines though is in dealing with Asuka’s clear trauma from the war. She fought a war while in middle-school. Just seeing a mascot character handing out balloons causes disturbing flashes and later we see the fate of her parents (and here we have an anime character without parents where it seems to be more than plot convenience but actually a valid emotional note for the protagonist). These dark and disturbing images, and they are disturbing, are incredibly solid at establishing why Asuka is traumatised, how real the threat was, and that this is not going to be a light and frothy story of a magical girl fighting cackling villains but a world in which the threats are very, very real. But what are those threats? Given the war is over, though I guess there is still room for another invasion. Turns out humans are more than capable of carnage and misery without the assistance of fluffy invaders from another world. When Asuka’s classmate is caught up in an attempted jail-break, Asuka is forced back onto the scene. It’s a solid first episode and one that has me wanting to know where they’ll go next. This one has a lot of potential and hopefully it knows how to use it. Xuan Yuan Sword Luminary has been heading for a tragic end for awhile and right now it is kind of like watching a train wreck in slow motion. The Empress is in a state of emotional turmoil after sentencing Ning to water torture last week (and Ning has fully gone off the deep end after experiencing said water torture). All this has done is emboldened the Empress’ enemies and they are now moving far more openly against her. Meanwhile, Zhao has thrown himself fully into his work. Last week though I made the comment that he was doing nothing about Ning and apparently that is untrue. He’s been sending petitions to the Empress to receive her pardon. Petitions the Empress hasn’t been reading. Way to be a great friend and all. Still, there’s a massive construct to complete before the series end because if it doesn’t even get finished it will be the sub-plot that’s gone nowhere and I’d have to wonder what the point was. Also meanwhile, Yin has finally accepted joining the rebel family and now has more brothers and sisters. She’s still totally brooding about Ning though. Good thing this anime isn’t in to making us wait as Ning returns, insane and powered up, ready to fight her sister to the death. At this point the battle between the rebels and the empire is almost superfluous to the central characters’ personal dramas. One thing is for sure, Ning has definitely misplaced all of her anger onto her sister and it doesn’t look like she’s coming back from that any time soon. 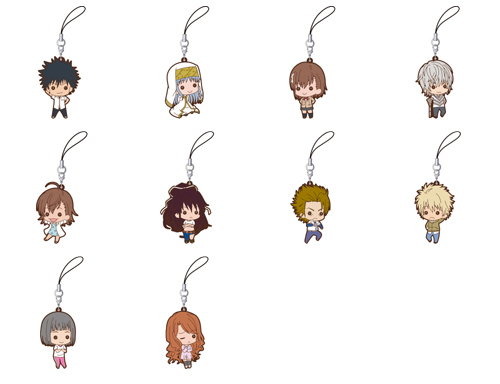 There are fewer things sadder than falling out of love with a franchise but I just have to admit that is where I am with A Certain Magical Index. I’ve put the final decision off until episode 13, but I’m almost certain this one is a drop. What is making it worse though, is that this season is making me really question why I actually even liked this show in the first place. To go through the issues of this episode would take too long, so let’s just look at the moments that really illustrate why A Certain Magical Index season 3 is failing to really engage. Firstly, we have an encounter between Misaka and Touma at the oh-so-familiar vending machine. That seems great and all. Misaka’s a great character and the vending machine is a staple set piece in the anime at this point. However, what was this scene doing? Really? Other than hoping fans would squee with delight over seeing Misaka was there anything happening in that sequence? Touma asked Misaka not to tell anyone about his amnesia? There were quicker and more logical ways to get to that point. Was it the comedy that was supposed to land as Misaka blushes and actually feeds coins into the vending machine? Because that was most definitely a swing and a miss as the anime continues to undervalue its female characters. Then we get the scene in Touma’s apartment where he gets the call telling him he needs to go to England. The joke where Touma asks Tsuchimikado to make it quick and so no further information was given before hanging up was actually pretty amusing, so even though from a plot point of view it is maddening because we’re having a scene change for no explained reason, it kind of worked. What doesn’t is that right after that the window is broken as a smoke grenade is lobbed in to the apartment and both Touma and Index are knocked unconscious. That could work if they woke up all surprised by where they are, but instead, through flash backs, we find out they went to the airport, rejected the plane that was organised for them, and took a regular flight to England. So why even knock them out? Could the writer not figure out how to end the scene? Then we are finally subjected to terrorists on a plane. Index, we’ve seen terrorists on planes before. So many times. You have to at least be vaguely competent in this one because what you’ve delivered this week is half-hearted at best and what should actually be an interesting transition sequence from one city to the next turns into yet another mangled mess. About the only positive is that Stiyl shows up, in another plane for some reason, and throws some magic around. And again, unless they are just hoping that the mere presence of a character cooler than Touma makes the audience jump in delight there really isn’t anything to this scene. So positives are few and far between and negatives are overwhelming. This episode isn’t alone in this though as Index has gradually worn away any leeway I was willing to give a franchise I genuinely liked. I’m now at the point where I just have to wonder why they even continue to churn this out. Then I realise, I’m still watching it. As are a lot of people. So either other people like it more than I do, or we’re all just continuing to keep up the popularity of an anime that really should just fade away. One thing I do know, A Certain Magical Index is falling flat for me right now and while I’m committed until episode 13, I’m almost certain to drop it after that.